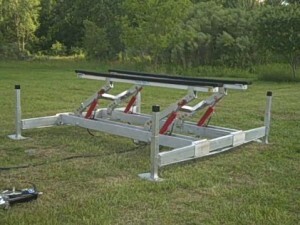 Waterfront Products sells and services the full line of Feighner Hydro Max II Boat lifts. Feighner products are known for their strength, safety and unique design. Hydro Max II Lifts are available in Shallow Water Depth Series, Normal Water Depth Series, Tall Series, P.W.C Lifts, Twin Series, and Pontoon Lifts.